This is the story of a three-year-old girl and the highest court in the land. The Supreme Court case Adoptive Couple v. Baby Girl is a legal battle that has entangled a biological father, a heart-broken couple, and the tragic history of Native American children taken from their families. When producer Tim Howard first read about this case, it struck him as a sad but seemingly straightforward custody dispute. But, as he started talking to lawyers and historians and the families involved in the case, it became clear that it was much more than that. 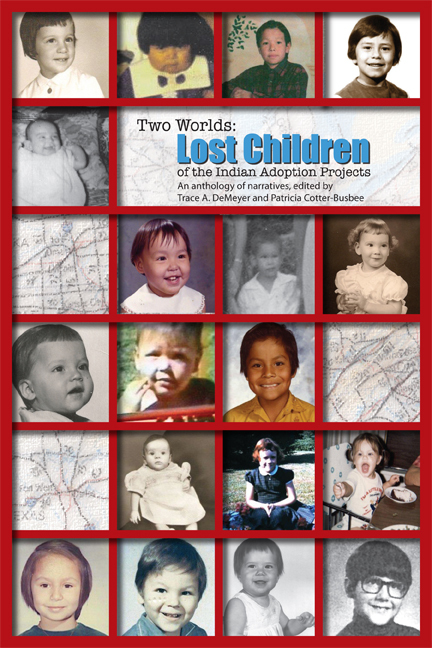 Because Adoptive Couple v. Baby Girl challenges parts of the 1978 Indian Child Welfare Act, this case puts one little girl at the center of a storm of legal intricacies, Native American tribal culture, and heart-wrenching personal stakes. "Couple forced to give up daughter"
"Supreme Court Takes on Indian Child Welfare Act in Baby Veronica Case"
A report for Indian Country Today by Suzette Brewer, who has also written a two-part series on the case. "Supreme Court hears Indian child custody case"
Tulsa World article by Michael Overall which includes Dusten Brown's account of his break-up with Veronica's mother, and his understanding about his custodial rights. Plus photos of Dusten, Veronica, and Dusten's wife Robin in their Oklahoma home. Randi Kaye's report for CNN on the background of the case, and interviews with Melanie and Matt Capobianco: "Video: Adoption custody battle for Veronica"
Nina Totenberg’s report for NPR: "Adoption Case Brings Rare Family Law Dispute To High Court"
Reporting by NPR's Laura Sullivan and Amy Walters on current ICWA violations in South Dakota. Dr. Phil's coverage: "Adoption Controversy: Battle over Baby Veronica"
Colorlines report "The Cherokee Nation’s Baby Girl Goes on Trial:"
Americans remain dangerously uninformed about the basics of tribal sovereignty, and what it means for the relationship between the United States and Native tribes and nations. 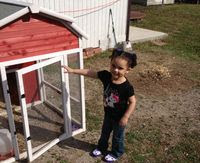 The Weekly Standard's Ethan Epstein argues that ICWA is "being used to tear [families] apart]: "Mistreating Native American Children"
Andrew Cohen considers the trickier legal aspects of the case for the Atlantic in "Indian Affairs, Adoption, and Race: The Baby Veronica Case Comes to Washington:"
Two-year-old “Baby Veronica” was ripped from the only home she’s known. The court made the right decision. Marcia Zug for the Michigan Law Review: "Adoptive Couple v. Baby Girl: Two-and-a-Half WAys To Destroy Indian Law"
From Walter Olson, a senior fellow at the Cato Institute’s Center for Constitutional Studies: "The Constitutional Flaws of the Indian Child Welfare Act"
Rapid City Journal columnist David Rooks poses a set of tough questions about ICWA: "ROOKS: Questions unasked, unanswered"
From Johnston Moore, an adoptive father of six children, three of whom are part Indian. (Moore is director and co-founder of Home Forever, and a founding member of the Coalition for the Protection of Indian Children & Families. NewsOK): "Some different talking points about Indian Child Welfare Act"
"Adoptive Parents vs. Tribal Rights"